BOXING! June 21st Sackville Arena! | Sack-Vegas!!!! BOXING! 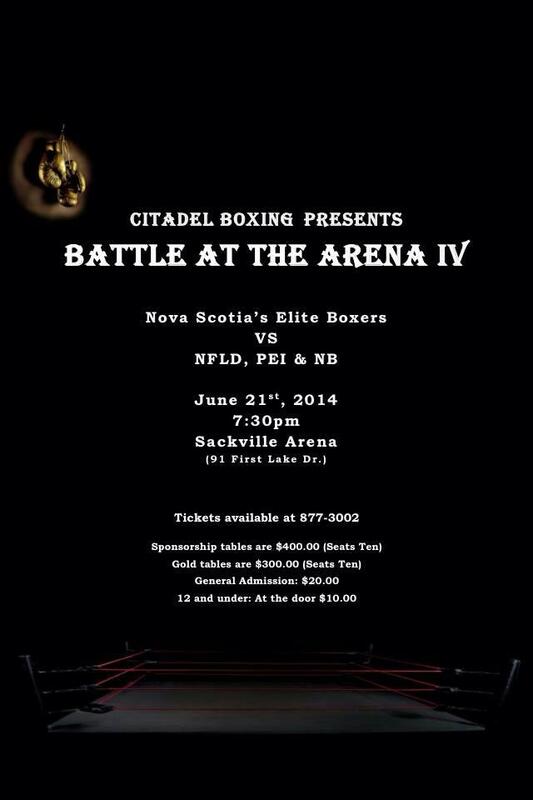 June 21st Sackville Arena! Head on down to watch some of our best square off with some of the best of the Maritimes! Posted by Sacky on June 12, 2014 in Community Events.